“Predictably Philandering Females Prompt Poor Paternal Provisioning”—that’s the name of a recent report on infidelity in house sparrows. The paper was published in The American Naturalist. Monogamy means different things to different people—and different animals. House sparrows mate for life, yet years of observation of birds in the wild suggest that they’re also pretty prone to sleeping around. An international team of researchers had a lot of questions about how this works. Are house sparrows really that promiscuous, and, if so, does such behavior pay off? How do the mates of cheating sparrows respond? And how does that affect their kids? To find out, the researchers set up shop on Lundy Island, an itsy-bitsy spot in the UK’s Bristol Channel. They caught, tagged, and took tiny tissue samples from 200 male birds and 194 females, then released the birds and watched the avian soap opera unfold. Tiny implanted trackers made it possible to tell which bird was which, and when that bird had entered his or her nest. "Lundy is a unique natural laboratory because it is almost a closed system,” said lead author and Imperial College of London biologist Julia Schroeder in a press statement. “Very few birds leave the island or arrive from the mainland. 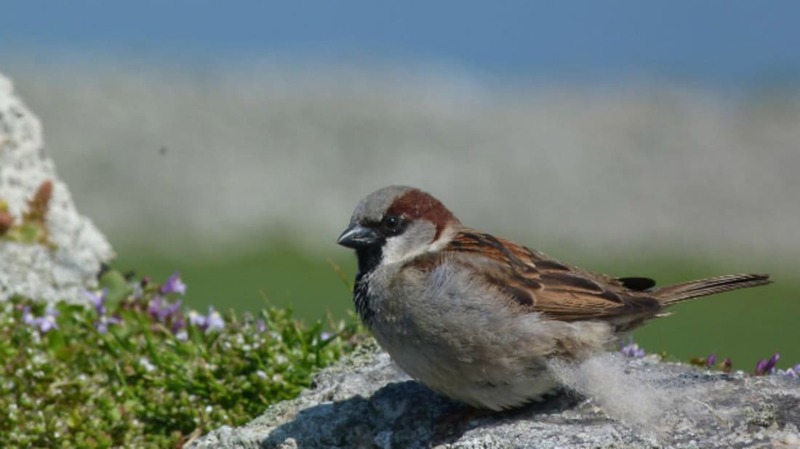 In the entire 12 years, only four birds immigrated to Lundy, possibly carried by boat." During that same period, the birds formed 313 pairs and produced 863 broods of baby birds. DNA tests of the birds’ tissue samples, and those of their babies, allowed the researchers to see quite plainly which sparrows were dallying outside their partnerships. A lot of them, it turns out: 38 percent of the broods included offspring from outside partners. Nearly all the couples stayed together once they had bonded, but both male and female birds cheated on their partners. When those results were matched to video of the sparrows’ behavior, a trend emerged: Cuckolded male sparrows stopped tending to their chicks. This is a big deal for sparrows, a species that depends on care from both parents. How could the male sparrows tell when their partners had strayed? It wasn’t from looking at the chicks and thinking, “Hey, wait a minute.” The researchers tested this by swapping out a couple’s chicks when they weren’t looking. Dad sparrows couldn’t tell which chicks were theirs, and treated all the little ones interchangeably. "If chicks were switched into a nest where the female was faithful, then the father at that nest kept up his hard work providing for the chicks, suggesting they have no mechanism, such as smell, to determine which chicks are theirs," Schroeder said. Here’s the thing: Animals don’t just sleep around for no reason. Some earlier studies had theorized that cheating might help female sparrows bring fresh genetic material into their nests while maintaining the social stability of a partnership. But if a cuckolded dad starts starving his kids, what’s the benefit?